The Petrotrin refinery at Point-a-Pierre. PHOTO BY ANIL RAMPERSAD. 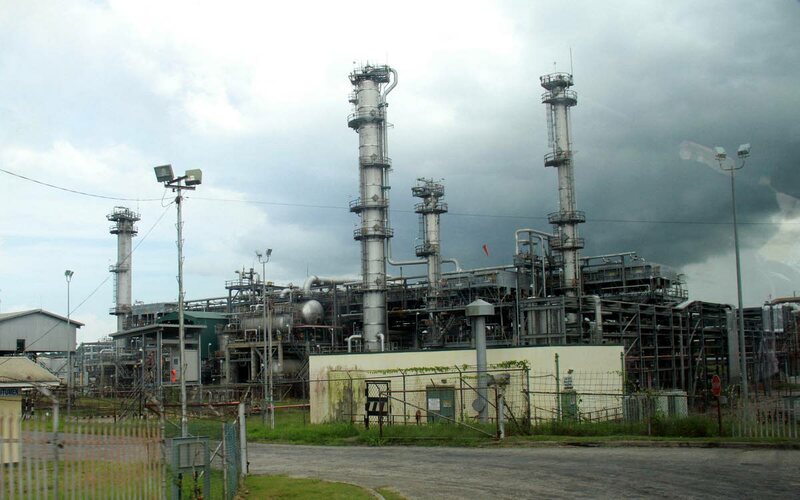 Petrotrin is the latest casualty to add to the Government of TT’s list of failures in the management of the economy. Let’s rewind: BWIA, ISCOTT, Workers’ Bank, National Commercial Bank, Lake Asphalt, PTSC, Port Authority, Tobago Sea Bridge, Caribbean Airlines, WASA, T&TEC… the list continues. This PNM Government continues to follow the pathway of previous ones and with little hope of either of these state entities making a profit. Thus, further taking this country into the abysmal pit of no return. Government continues to put square pegs in round hole. When would this stop? And there seems to be no end of this kind of behaviour of the government. The call for Independence and other forms of self-governance apparatus were echoed from the rooftops that TT could have managed itself. But that was wishful thinking, and today, the poor taxpayers have to bear the brunt of the cost with taxes, taxes and more taxes. Economic nationalism and economic independence were the highlights of our leaders, but these calls were just to manipulate the system by putting party hacks and misfits in noble positions of authority. Just that. All the leaders of the state entities used their leadership as if the entities belonged to themselves on behalf of the PNM. Government must get serious about its concept of morality in public affairs which as mooted by the infant PNM and Dr Eric Williams. And as soon as they took control, morality in public affairs was thrown away. We cannot afford to build a nation, more so, a society with failures, and dismal failures at that, when the nation’s patrimony is being thrown away by rudderless leadership. What kind of society would we bequeath to succeeding generations, except to pay for the sins and follies of the governments. Our leaders must take serious psychological and emotional training before they ever stand for political office. Our recent budget debate was a rehash of previous ones with no new ideas or initiatives. This country has now become a failed republic, and there are no signs of any eventual return to sanity and stability as we continue to waste billions of dollars in several types of projects, none of which could save this nation from the path of disaster. The people of this country now have to give up the ghost of governance and work towards a new beginning, afresh for succeeding generations. Maybe, we would soon have to give up our Independence, and become an appendage of the United Nations. Reply to "Scientific management needed in TT’s state sector"